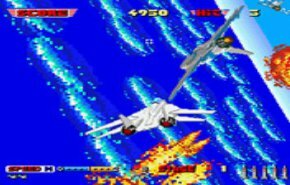 Playing this was like being in Top Gun. At least for the day it was. The arcade version was a full cockpit that you could sit in, that moved up and down as you played. I blew much allowance on that. The 32x version, looked exactly the same. But playing it on the gamepad just wasn't the same. Still, I gave this 3 stars for the memories.